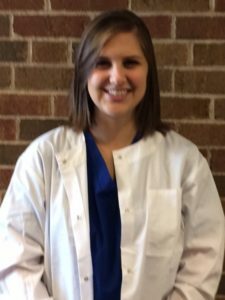 District Health Coordinator: Ashley Speaker R.N., B.S.N. Anyone can call 1-800-QUIT-NOW (1-800-764-8669) for support or visit this website, www.njhcommunity.org/michigan to help with smoking cessation. There is also a 6-8 week program that you can sign up for, called TXT2Quit. You can text the word “Quit” to 47848 to sign up. You will then receive 3-4 encouraging/educational messages a day to help you stay on track. Negaunee Public Schools shared a post. Workers for track concessions are needed. Every NHS track athlete must have a representative work at least one shift this spring. Follow the link shared below to sign up for a slot. Our first home track meet is this Thursday, April 25. Every track team member must have at least one shift covered by a representative (family member, friend, etc.). Anyone is welcome to volunteer! The link for our spring concession sign-up is posted here. All shifts must be covered in order to have concessions go smoothly. Remember that the concession profits we generate go back to help every sports team at NHS. Your help this spring helps all our athletes year-round. Go Miners! Copyright © 2019 Negaunee Public Schools. All rights reserved.